“If you board the wrong train, it is no use running along the corridor in the other direction.” Dietrich Bonhoeffer. Dietrich Bonhoeffer (4 February 1906 – 9 April 1945) was a German Lutheran pastor, a theologian, a spiritual writer, a musician, an author of poetry and fiction. He was also a martyr dying for what his beliefs. His writings on Christianity’s role in the secular world, have become widely influential, notably his book ‘The Cost of Discipleship’ which is regarded by many as a modern classic. Bonhoeffer also became known for his determined resistance to the Nazi dictatorship during World War II. He was a strong opponent to Hitler’s euthanasia program and genocidal persecution of the Jews. He didn’t just speak words of protest but was involved in plans by the German Military Intelligence Office to assassinate Adolf Hitler. Arrested in April 1943 by the Gestapo, he was executed by hanging in April 1945, only twenty-three days before the German surrender. His beliefs and convictions ultimately cost him his life in a Nazi concentration camp. 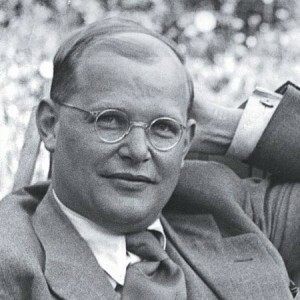 Dietrich Bonhoeffer was one of the most famous theologians and martyrs of the 20th century. Previous Previous post: Make the most of the moment!